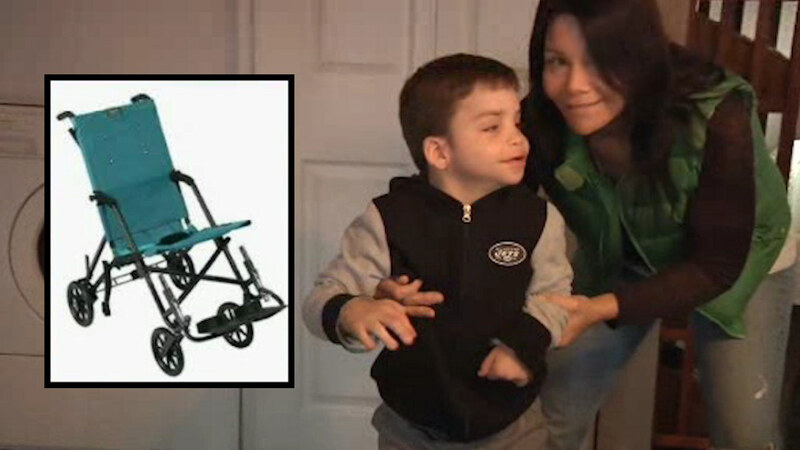 HOLBROOK, Long Island (WABC) -- Police on Long Island are trying to figure out who would steal a wheelchair from a disabled boy. The wheelchair was stolen from outside a home in Holbrook last week. Kathleen Vermilyea says her 10-year-old son Cody, who suffers from several disorders including cerebral palsy, needs the chair to get around. "The only way I can think about it and not be sad, is that somebody needed it maybe more than we did. Maybe it was somebody that was homeless that needed to sell it for money and didn't have food and didn't have somewhere to sleep at night," Vermilyea said. The family is hoping insurance covers the cost of a new one. Crime Stoppers is offering up to $5,000 for information leading to an arrest.